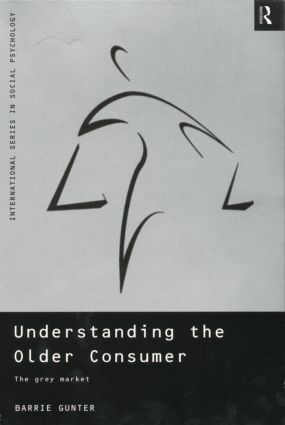 In Understanding the Older Consumer, Barrie Gunter provides a detailed examination of the demographic, behavioural and psychological profiles of the older consumer. He shows that without the responsibilities of loans and child raising and with better financial provision than in previous years, the over-50s represent a powerful spending force. In order to reach this group, Barrie Gunter shows how to target advertising and respond to the changes that have occurred. Understanding the Older Consumer provides a wealth of information on older people's lifestyles and leisure, their interest in the mass media, their perceptions of advertising and their shopping.